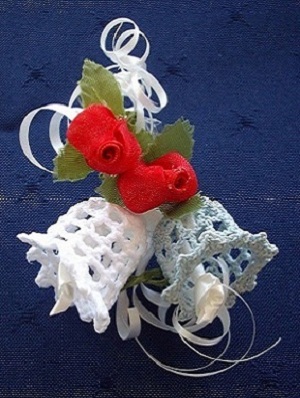 Wedding bomboniere are favours or gifts that wedding guests receive on the wedding day. Different cultures view weddings as happy events that people like to celebrate. Weddings also attract ‘good luck’ and everyone likes good luck! Wedding bomboniere is as different as you want it to be, so create your bomboniere and delight your wedding guests! Traditionally, everyone in the community shares in the good luck associated with weddings and in spreading the love. In 16th century France, only the wealthy classes gave wedding bomboniere to wedding guests. Small boxes to hold bonbons or other confectionery were popular bomboniere. These boxes were often decorated with gold and precious stones. Not only was this bomboniere valuable keepsakes, they were also handed down from one generation to another in families as heirlooms. Families of modest means however, were more creative with their bomboniere. For example, In Italy, sugar-coated or Jordan almonds are popular as wedding bomboniere. Five sugar-coated almonds are presented in a dainty organza bag or wrapped in fine tule, and tied with a ribbon. These almonds represent the five wedding wishes: health, wealth, happiness, fertility and longevity. Although the form of wedding bomboniere differs across cultures, the thoughts and sentiments are the same. It is all about how you spread and share the happiness of your wedding day. Cut the wedding cake and put small pieces in boxes or paper bags for guests to take home with them. This is and old and delightful bomboniere tradition that is easy. Wedding guests place the boxed cake under their pillows on the wedding night for ‘good luck’. Hopefully, wedding guests experience good luck! In the 21st century, people are more creative with wedding bomboniere. Some gifts are practical while others are more sentimental. Wine bottle stoppers, personalised pens, and even music boxes that play the wedding waltz are popular. These bomboniere are available commercially, however they do come at a cost. Why not personalise your wedding bomboniere in unique ways? Express your personality, hopes and dreams in personalised bomboniere. These gifts are heartfelt and add that special touch to your day. The hand-made crochet Wedding Bells in this photo are delightful examples of unique bomboniere. These little bells add a lovely touch to place cards or as decorations on champagne flutes. Other popular personalised wedding bomboniere include plant seeds, small plants in pots, and home-baked confectionery, jams and biscuits. Print or hand-write thank you notes and attach to these items. Invite family and friends to gather, make or present these personalised items. Not only is this is a great way to get everyone involved in the wedding preparations, it also saves time, effort, and of course, expense! Why not share the love, good wishes and ‘good luck’ with wedding guests? Make a donation to a charity on behalf of your wedding guests who then receive tokens such as pins or thank-you cards from the charity. Alternatively, write thank-you messages to guests on place cards at the reception, or attach them to bomboniere. Get creative and delight your wedding guests! Are you ready for some really creative ideas for bomboniere? As Brisbane’s Really Good Celebrant, I know a special couple whose families get into the really creative bomboniere in a big way! 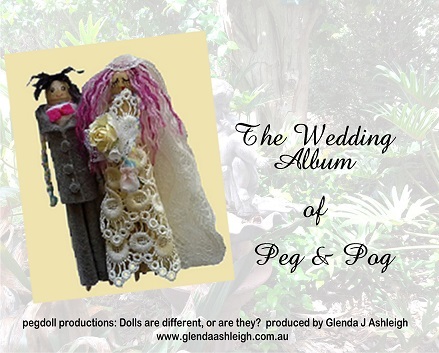 Check out the carrot carving bomboniere guests receive at the wedding of Peg & Pog.